The Ag Startup Engine’s seven initial agricultural startup companies have collectively raised more than $10 million in follow-on investments, the organization announced today. 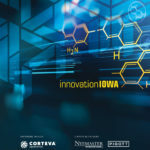 The seven portfolio companies within ASE at Iowa State University Research Park have also created more than 40 jobs since the initiative’s launch. Established in late 2016, the ASE began by looking at the cohort graduates of the ISU Startup Factory accelerators led by seasoned entrepreneur Bill Adamowski. ASE portfolio companies have brought to market technologies including an automation platform for agriculture equipment, an algae-based wastewater treatment system, and an animal health data traceability and analytics software platform, among others.To meet its initial goal of bringing 10 to 15 startups into the portfolio by year three, ASE plans to announce additional startups to the group by the end of the year.